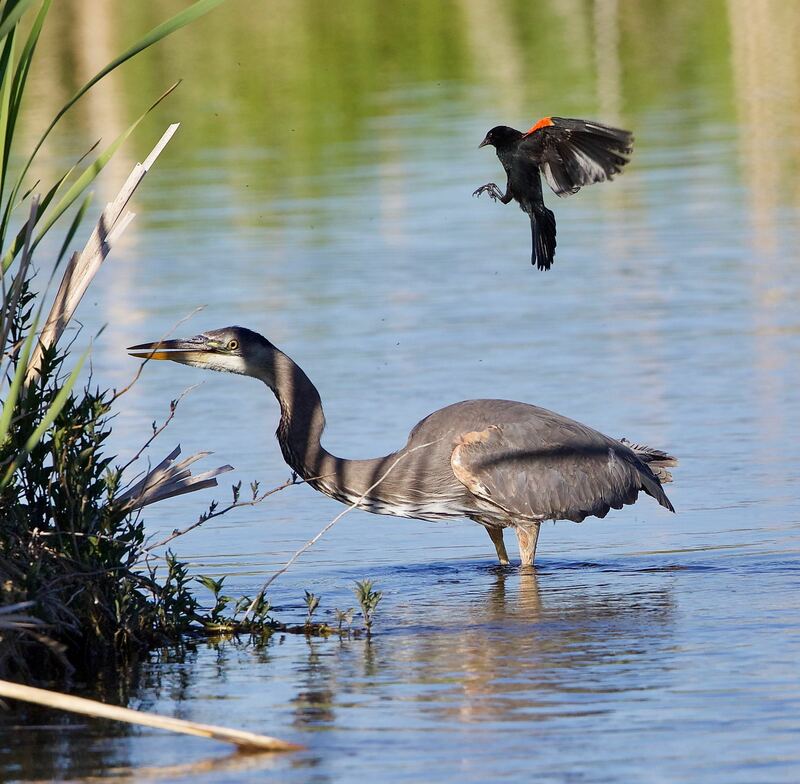 Stephen Barnard in Idaho weighs in with some diverse and lovely pictures from Idaho (I especially like the swallows and the heron being harassed). His notes are indented. Two species of kingbirds in the same day. 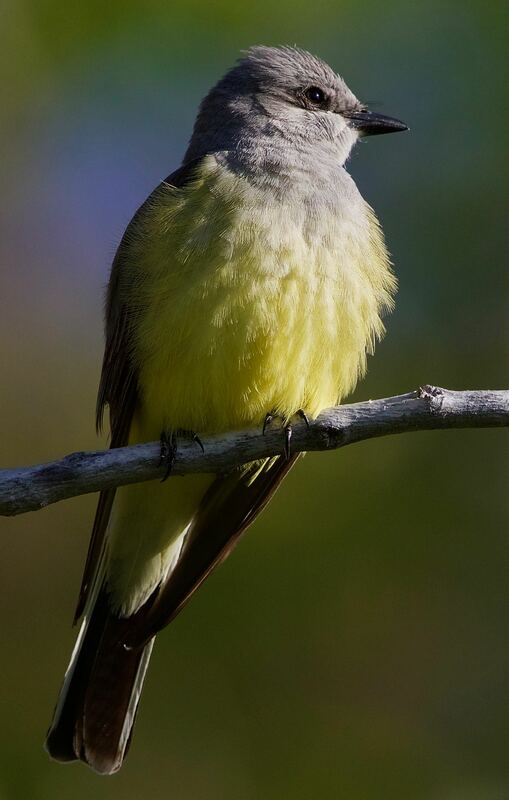 A Western Kingbird (Tyrannus verticalis), showing off his yellow breast in early morning light. 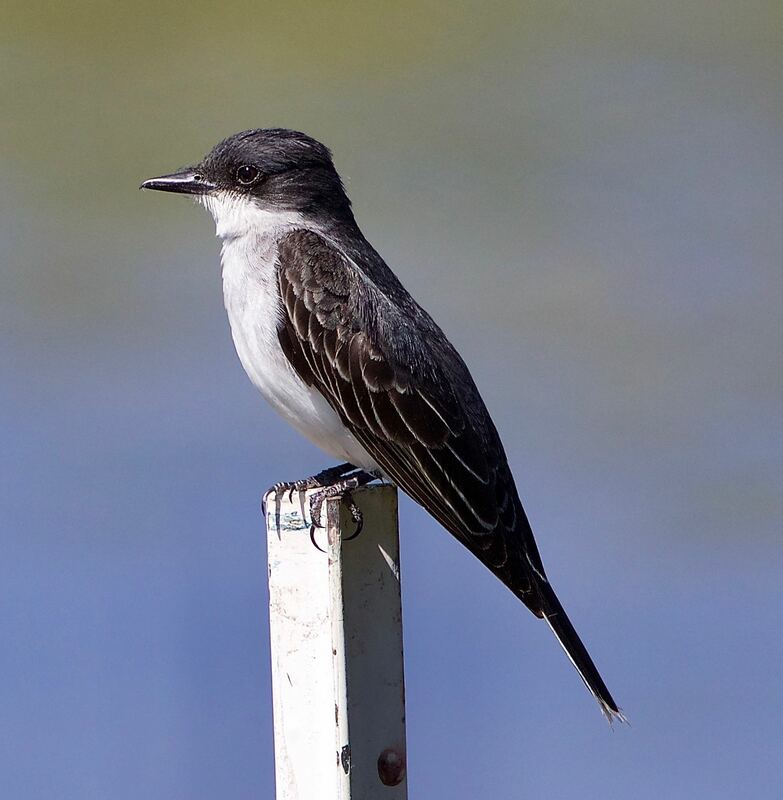 An Eastern Kingbird (Tyrannus tyrannus), less flashy but debonaire. Both species are bold and feisty. 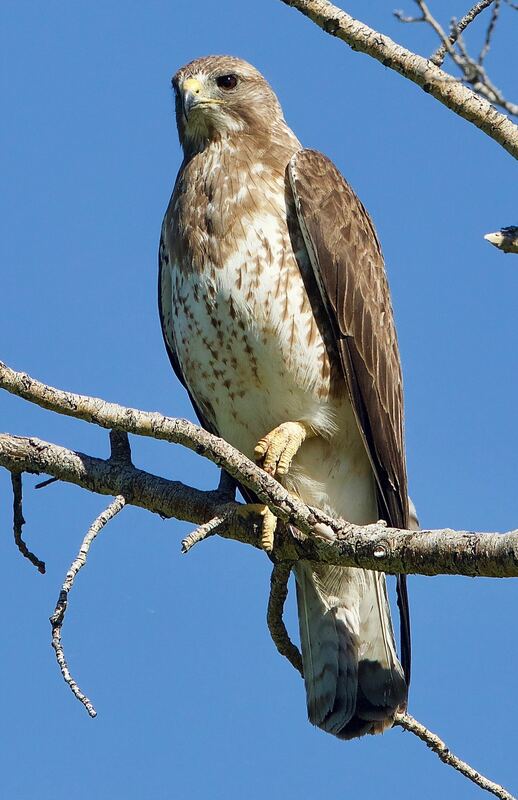 They typically occupy a conspicuous perch, daring lesser birds to approach. They aren’t called kingbirds for nothing. It gets bloody. 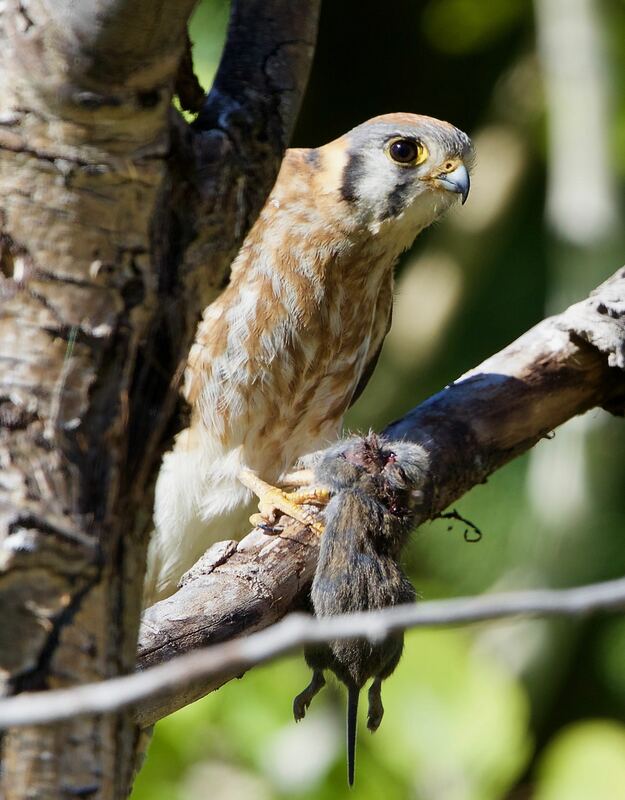 Natasha appears to have prepped this rodent for the chicks. A few more photos of Natasha, the female American Kestrel. In the first photo Boris had just brought her a freshly killed vole. 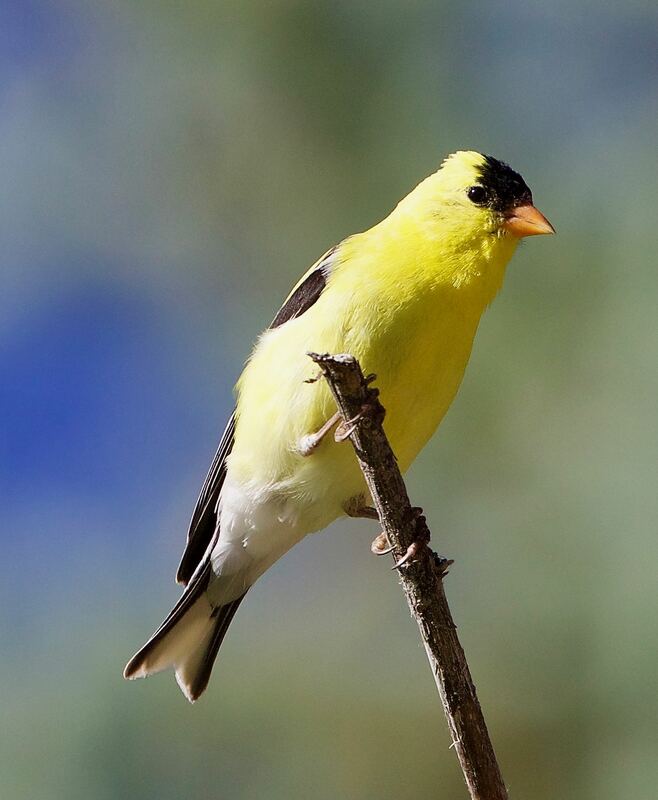 This entry was written by whyevolutionistrue and posted on June 15, 2018 at 8:00 am and filed under birds, photography. Bookmark the permalink. Follow any comments here with the RSS feed for this post. Both comments and trackbacks are currently closed. Swallows in flight are the ultimate challenge for a bird photographer. That must have taken some effort! Lovely stuff as always, especially the swallow shots. Thanks!! The red wing blackbird pleads self-defense, erm… nest defense! Beautiful, as alway. The tree swift and the heron harassment most especially. And I do love a kingbird. 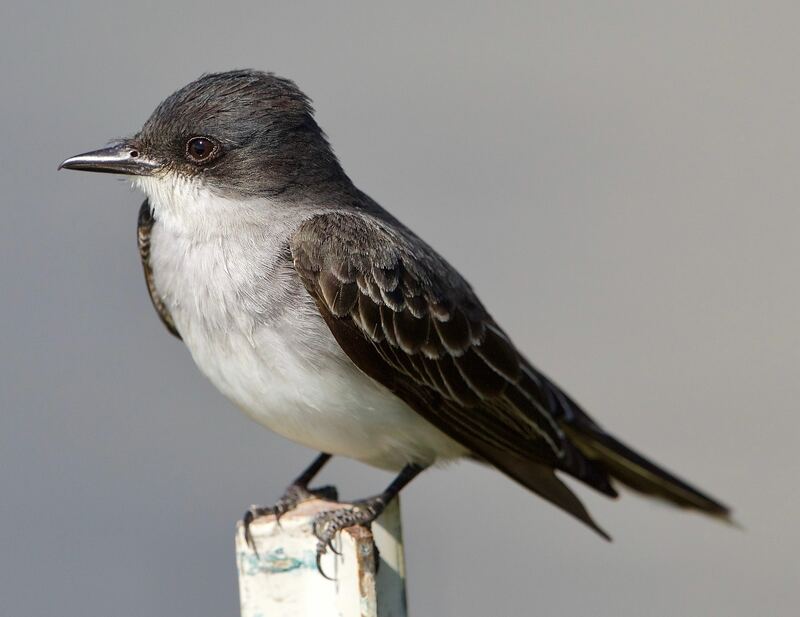 Tyrannidae is a wonderful family, especially their common family name, the Tyrant Flycatchers. They are especially active at Kauffman Stadium during Royals night games, and considering how poorly KC is playing, the birds are more entertaining than the baseball. All amazing. 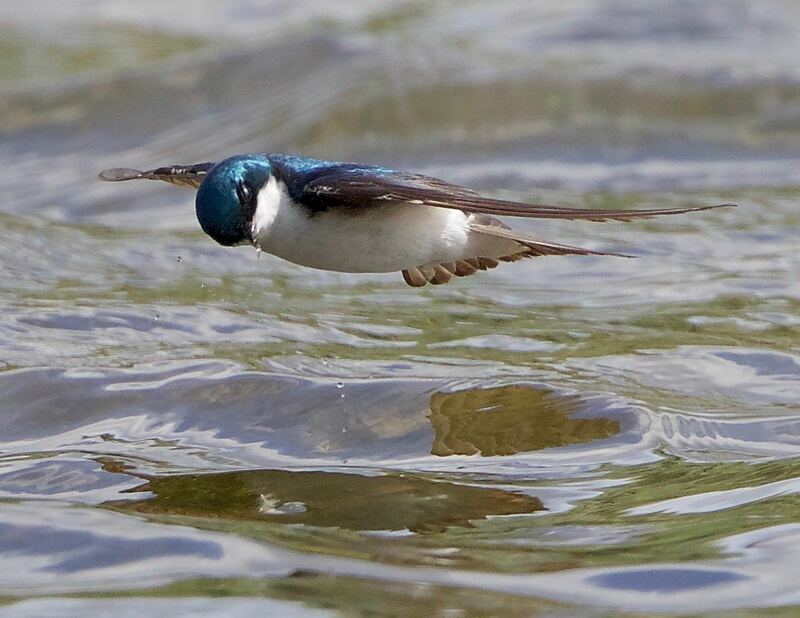 The first picture of the tree swallow is so good. I wonder if it’s because they like hay fields or something. Lots of hay fields and corn fields around here. 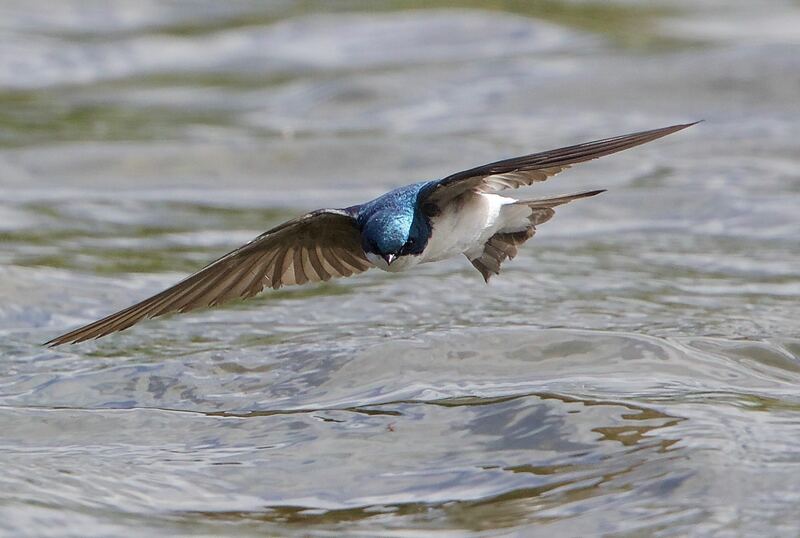 The swallows on the water pics are stunning! How you do it? luck? Cropped frame off a video recording? I need good light, a strong headwind, and lots of targets because maybe one in a hundred shots might turn out, if that. Simply amazing. 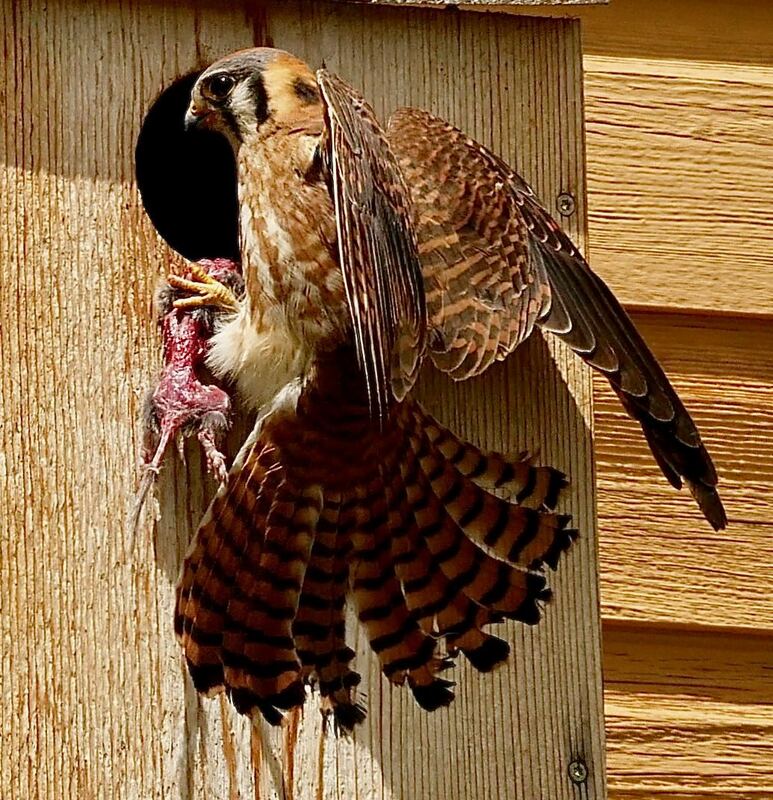 I wonder if kestrel mom skins the prey now for the chicks to de-flesh themselves. They gotta learn sometime.. Absolutely wonderful Stephen. I’m trying to pick my favourites, but I keep thinking, “I can’t leave that one off the list,” so it’s rather long! Come to think of it, that’s pretty much always the way with your pics. Thanks for all the kind words. Appreciative comments remind me that I live in a special place. It’s sometimes too easy to take it for granted. Wonderful. All these species I have seen locally, but so far no good pics or videos. I’m still trying. Great photos, you do live in a special area. Last spring we saw hundreds of migrating Tree Swallows feeding over a wetland pond, themselves looking like a cloud of insects. Such graceful birds. Thank you, Stephen, for these. 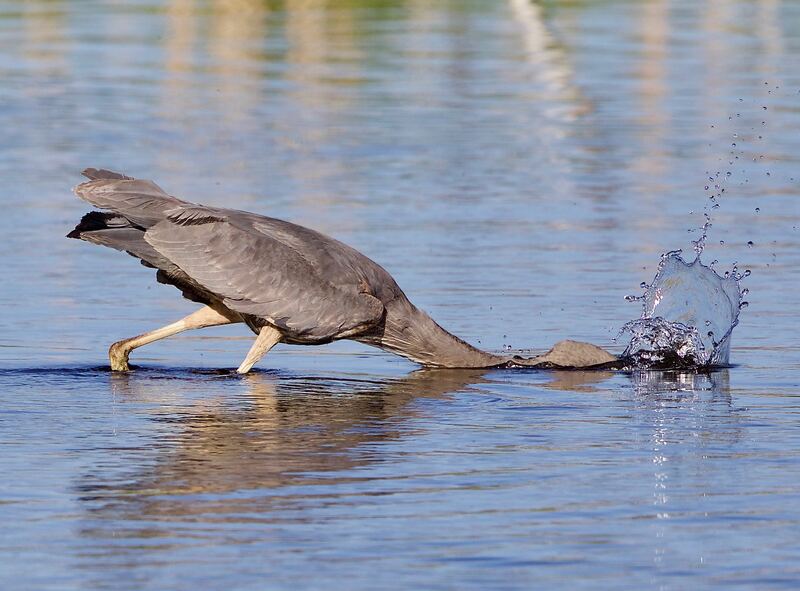 This is the first time I have seen confirmed what we have observed: red-wings harassing herons. 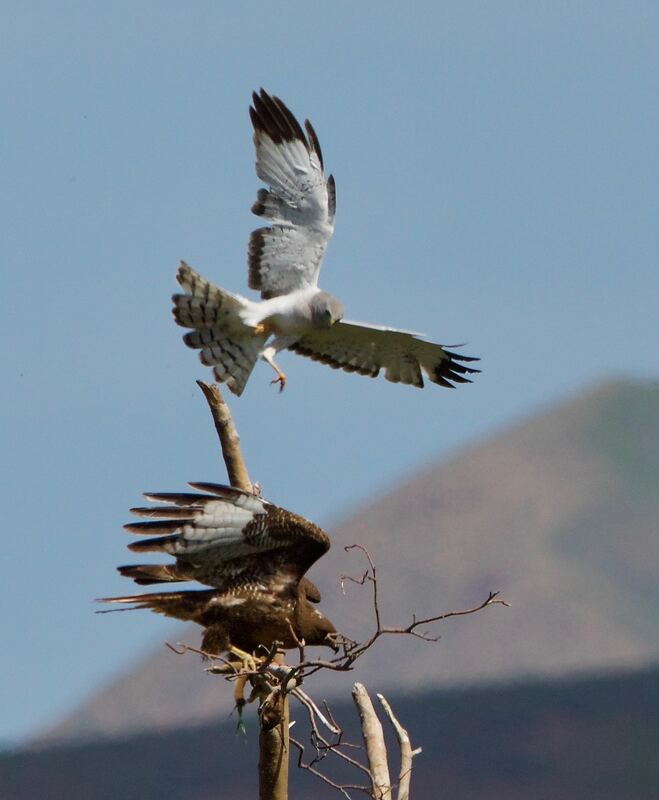 In the bog here, the red-wings, during nesting season, forbid herons from coming to fish and mob them. As soon as the red-wings leave in August, though, the herons return. I told a woman from Michigan, who claimed to be a park ranger there, about this and she said it could have never happened. Thanks, again!